As yesterday’s fixture between two of top-level English football’s oldest adversaries loomed, many were anticipating the match more than almost any other this season. 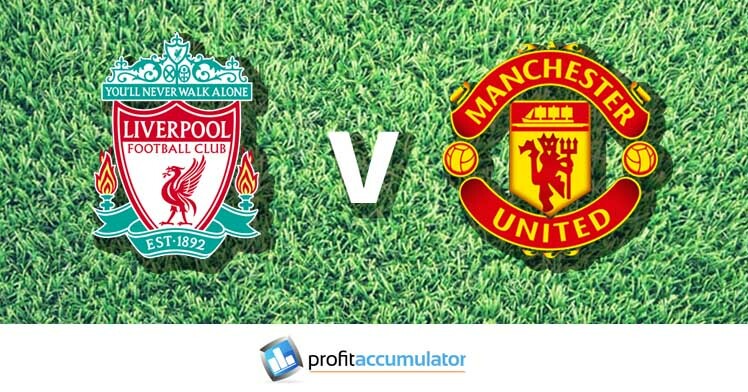 How would Manchester United boss Jose Mourinho’s notoriously pragmatic style fare against the relentless pressing of the team of his Liverpool counterpart, Jurgen Klopp, in the two teams’ first Premier League encounter since the stalemate at Anfield in October? Would Wayne Rooney finally break the all-time goal-scoring record for a United player against the opponents that almost every fan of the club would choose? Would the Red Devil’s nine-match winning run continue, or would the Merseysiders continue steamrollering seemingly all opposition in their chase of Chelsea at the top of the table? BBC match reporter Phil McNulty described the encounter as “typically thunderous” for these two teams, and few of us here at Profit Accumulator would disagree. James Milner’s 27th-minute penalty had given the Reds the lead at Old Trafford after a Paul Pogba handball, only for United’s striking talisman Zlatan Ibrahimovic to head home late on for a 14th goal in his first 20 Premier League games. Sure enough, the game sparked plenty of talking points, with Klopp accusing United of playing “long balls in a wild game”, adding that “We played the better football and had the better plan.” Mourinho, for his part, said that his team “attacked and Liverpool were the team that defended”. But what else did we learn from this intense fixture? United’s world-record signing Paul Pogba may have just become the first footballer to get his own Twitter emoji, but it backfired on him in spectacular style as he delivered a dreadful performance against Liverpool. Not only did the Frenchman scuff a chance wide from 12 yards when Henrikh Mkhitaryan sent him through, he also inexplicably handled the ball in his own penalty area to present Liverpool with their gilt-edged – and subsequently fulfilled – opportunity to take the lead. He was also caught out in midfield late on in an incident that could have resulted in Liverpool snatching the win. Pogba has been in fine form as of late, but with a mere 72% passing accuracy, one tackle and no interceptions against the Merseysiders, this was one match he will want to forget. Often-maligned Liverpool goalkeeper Simon Mignolet deserves credit for his showing against some of the toughest opponents he is likely to face this term. This is especially so given that his place in the team at Old Trafford was far from a given after Loris Karius’s highly rated midweek display against Southampton in the EFL Cup. The Belgian ended up providing a vital save from Ibrahimovic’s free kick, his swift reaction to parry away the United forward’s powerful shot leaving his teammates visibly impressed. He also stopped Mkhitaryan’s left-footed shot as United sought a quick equaliser. Eventually, the leveller did come, and it was another signal of just how heavily the Red Devils have come to depend on the lanky Ibrahimovic for vital goals. The former Inter Milan ace’s majestic header left Mignolet and young Liverpool defender Trent Alexander-Arnold with no chance of preventing it landing in the net. However, Liverpool fans had good reason to be aggrieved at the goal being allowed at all, given that United’s Antonio Valencia was in a clearly offside position. Still, it was at least a chance that the Red Devils took – according to Opta, United rank 20th in the Premier League for “big chance conversion”, where a “big chance” is defined as one that is reasonably expected to be scored. Whether you consider United to have “got away” with an equaliser that should have been disallowed, or instead to have got what they deserved after a performance in which they mustered 55% of the possession, there’s no doubt that luck is important in football. It’s important in the world of sports betting too, although sometimes, it’s possible to take luck out of the equation by making your choice of sports betting matched betting. 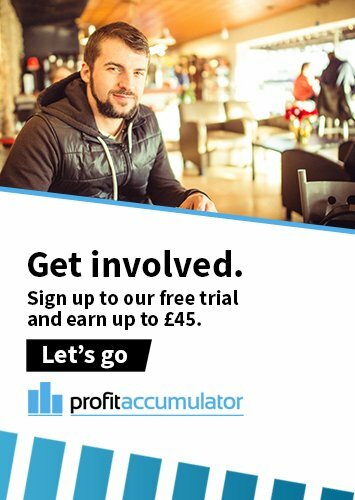 Just register with Profit Accumulator today to start generating potentially thousands of pounds every month with no risk – even if you aren’t that interested in sports betting!